I’m stunned. Like, seriously. My mouth is hanging open after reading this. Wow. Especially in the context of FFL and Coco!!! Wow. I’m calling Robb. I’m calling Disney. And, like… Wow. Thanks for sharing this, my friend, though I am sorry that this situation took some of the Disney magic from your experience. Are you SERIOUS?? I’m stunned too. Seriously? Wow, Robb. Great customer service AND knowledge of something you live with. Good to know you don’t ‘have it that bad’, could you share your secret with us? I can’t believe it. I really can’t. I think you needz to Zazzle that shirt. It can happen! WOW! I have to start this by saying I’m Type 2 and many say I don’t have it “that bad” because I’m diet and exercise controlled… HOWEVER, I have experienced lows where I’m shaky, confused, not able to move my limbs. I totally get it and I’m so angry about this whole thing. I’m with George… Zazzle that puppy! Wowzers. When I saw your tweet referencing this, I expected something juicier in terms of what you wanted printed. Confounded I am. I have no appreciation whatsoever as to how that message was offensive. If anything, anyone “out of the know” would just be confused by it. But offensive – I’m missing it, and it doesn’t sound like it was adequately explained. So sorry that the magic was stolen, Martin. I wonder if this is the same T2, Robert, that has stolen magic from others at Epcot. I am totally gob smacked by your post – I read the whole thing thru’ one top to bottom (I’m not a big lover of long blogs – but yours deserved to be read!!!). I am going to forward on this blog to a few friends of mine that work at Disney in Florida – see what they think of it. I’m still amazed at the manager with what he said. 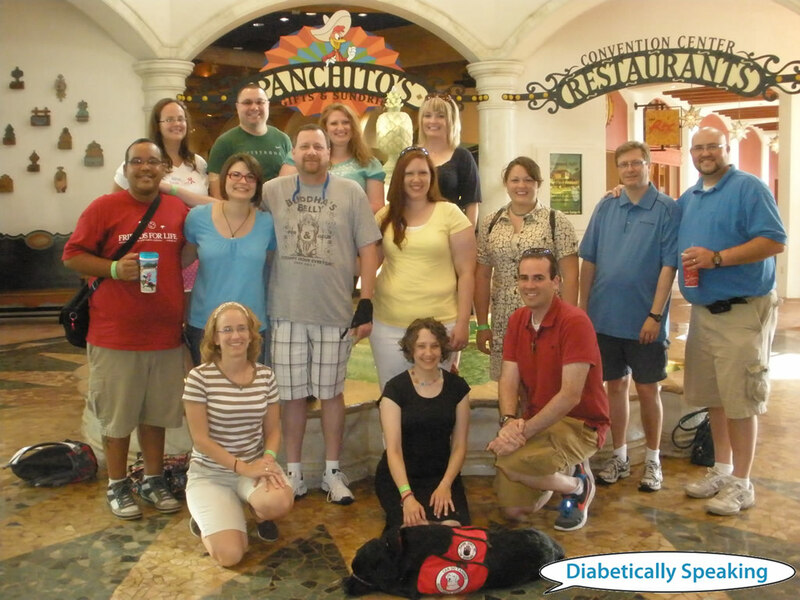 BTW, 3,000 diabetics were in attendance – wow!!!! I’m working on the staff with teens at the Canadian mini-me version of the CWD Friends for Life at the end of the month – will be interesting to see what head count we get!!! Absolutely insane!! I too have type 2…and prone to lows! What the heck is wrong with the manager “Robb”??? But the fact that he is or is not diabetic is neither here nor there. There was nothing wrong with the message…and who are THEY to dictate what is correct grammar. The bottom line is that it wasn’t offensive! Disney needs to formulate a letter of apology…and to maintain a spirit of good faith, should grace you with coupons, or partial refund!!! Unbelievable! Over 3000 diabetics in attendance, but apparently Robb was away the day that diabetes was explained to the employees. How is it that the rest of them understood the need for sugar (aka, candy) for the treatment of low BG’s, and the symptoms that can accompany said low BG’s? Disney definitely needs to know about this, so that it does not happen to another diabetic EVER!!! So so angry on your behalf. You have posted a very eloquent summary of the events, which is more than I probably could have managed, as I’m still kind of sputtering over here. I hope you send a version of this to the PTB. Please keep us posted about any response you may receive. Maybe Robb was an uncontrolled Type 2. With BGs so high that his blood was like maple syrup. In that case, the brain doesn’t work, and people become really stupid. That’s the only explanation I can think of. In any event, I agree with the people who said you should write a letter of complaint to Disney. And Zazzle the shirt. After all, Zazzle has one that says “Duck Fiabetes!” and that COULD be offensive. Although I love it! I like it when employees are empowered in a place of employment, but when they exhibit this kind of poor judgement, they should be disempowered. Unbelievable.